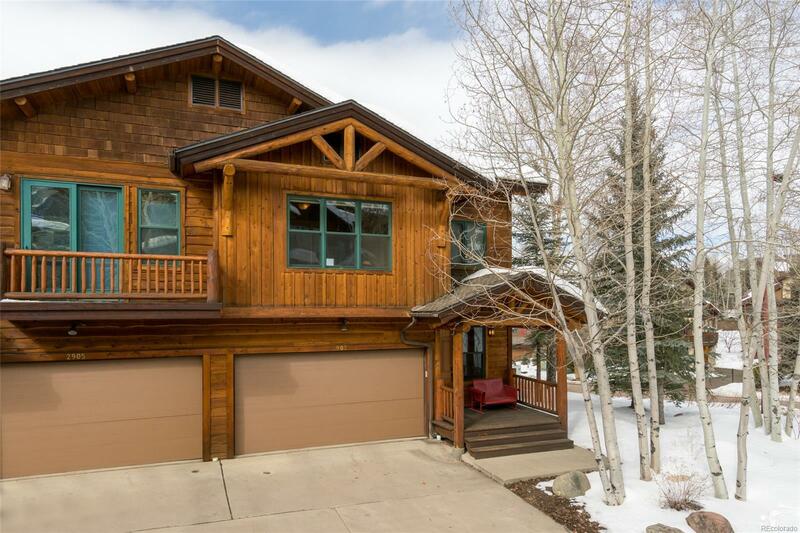 Enjoy the prime location from this 5 bedroom, 5.5 bath Mountaineer Townhome only a few blocks to the Ski Area's base. The townhome has a distinct Western lodge design with peeled pine log accents, new hardwood floors, large windows, vaulted ceilings, and high-end fixtures. Being on the edge of the development, a sense of space and openness permeates the unit. The main level boasts an open floor plan consisting of a spacious great room with a stone fireplace, kitchen with granite counters, dining area, and a covered outside deck with views to Emerald Mountain and Sleeping Giant allowing magnificent sunsets. The master suite and each additional bedroom offers its own attached bathroom to add privacy for family and guests. The 2-car garage and numerous closets in the home provide tons of space for ski storage. To top off this luxury townhome, the complex amenities include an outdoor heated pool, two hot tubs, and an on-call shuttle making transportation to the ski area or town a breeze.